This holiday house on the edge of the forest near Neustadt in Lower Saxony you will surely spend your holidays with lots of fun. With great care, the Dutch owner has remodeled his instructing in a modern, allergy-child-friendly holiday home. In the garden with terrace and plenty of privacy, your children can play safely. For this, a swing and a slide are available, and also a table tennis table ensures distraction. You can start directly from the house for hikes. The ground floor has a modern living room with a children's play area. Very nice is also a separate dining room: ideal for gaming and long-table discussions. The modern kitchen has a Senseo coffee machine. There is a double bedroom and a bathroom on the ground floor. The basement features a game room with, among others, table football and a bathroom with a corner bath with shower attachment. The washer and dryer are also located in the basement. On the first floor there are three bedrooms and a spacious bathroom with a toilet, sink and changing table. 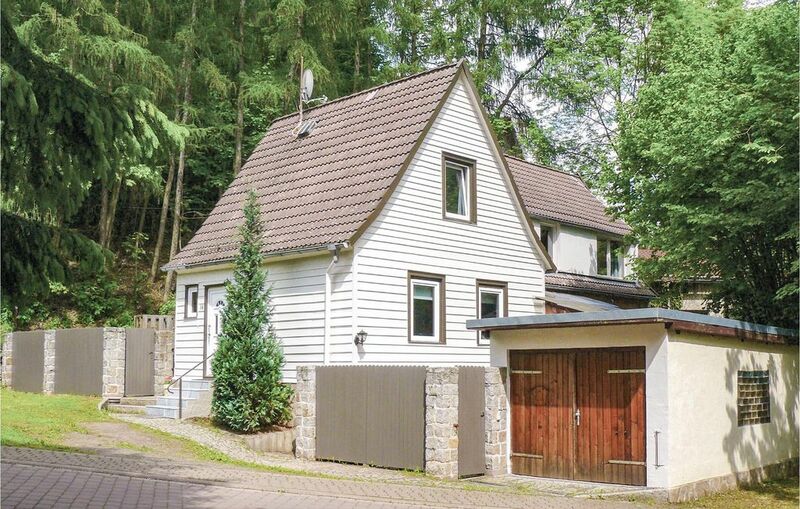 Your holiday home in Osterode am Harz is located 2 km from the spa town of Neustadt. Here you will find picturesque half-timbered houses, a castle, a forest pool, a golf course and a Kneipp pool for tired feet.